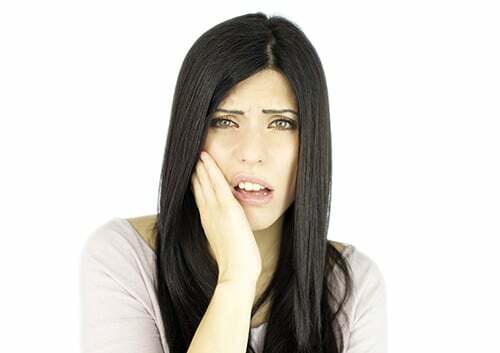 Symptoms of TMD can last for just a short while, or for several years. Seeing Dr. Rajasekaran is important if your symptoms make it impossible for you to eat regularly or if you have unbearable pain or discomfort. The following symptoms can occur on both or one side of your face. You can try to prevent TMD by focusing on reducing risk factors. If you grind your teeth at night, ask Dr. Rajasekaran about wearing a mouthguard. If you are overly stressed, look into ways to better manage your stress and relax your muscles. Another strategy for trying to prevent the development of TMD is to avoid chewing gum, since that puts stress on your jaw. If you have questions about TMD, don’t hesitate to contact our Markham, ON office. Between the huge number of toothpaste brands on the market today, the different flavors, and claims from most to do different things, it isn’t surprising that people feel so confused when it comes to something that should be as simple as buying a tube of toothpaste. This guide will help you identify the common ingredients in toothpaste, and help you understand the important factors to consider before buying toothpaste again. Toothpaste comes in gel, paste, and powdered forms. When it comes to the type of toothpaste, the choice is more a matter of preference. Abrasive Agents – Abrasive agents are the scratchy substances added to toothpastes to help in the removal of food particles, bacteria, and minor stains. Calcium carbonate is one of many abrasive materials, and arguably the most common. Flavor – When toothpastes are flavored, they almost always have artificial sweeteners to enhance the flavor of the toothpaste and increase the likelihood that you’ll use it. Flavors run the gamut from traditional mint to cinnamon that may appeal to adults, and bubble gum or lemon lime – flavors to target children. Humectants – Humectants are moisturizing agents that keep paste and gel toothpastes from drying out. Glycerol is commonly used as a humectant. 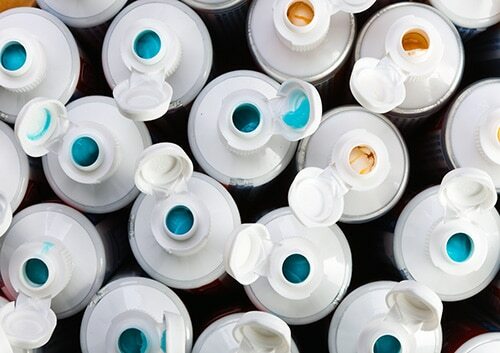 Thickeners – Thickeners are used to give toothpaste its distinctive consistency, and to make it maintain a uniform consistency and come out of the tube easily. Detergents – Sodium lauryl sulfate is the most common detergent used in products that foam up, like toothpaste does in your mouth. Fluoride is naturally occurring mineral. It is the most important ingredient to look for in a toothpaste. Although there are people who argue against using fluoride toothpaste, dental professionals like Dr. Rajasekaran emphasize that the fact that the incidence of tooth decay has decreased so significantly in the past 50 years is because of fluoridated toothpaste. The suggestion that fluoridated water gives you enough fluoride to protect your teeth is wrong. Fluoride toothpaste is the best cavity protection there is. In addition to strengthening tooth enamel and protecting teeth from acid erosion (from acidic foods and drinks,) it remineralizes the surfaces of teeth that are suffering from early acid damage and may prevent developing tooth decay from worsening. Tartar is the result of hardened plaque buildup on the teeth. Good oral hygiene and in between twice yearly cleanings from a dental hygienist are the best defense against plaque buildup. Plaque turns to tartar when people neglect their oral hygiene. Over time, tartar can build up on teeth and under the gums, increasing the risk of gum disease. Your best bet is to use a toothpaste that has a combination of anti-plaque agents. Products containing more than one plaque reducer may be more effective than products that only one. Common ingredients to look for are zinc citrate or pyrophosphates. Triclosan is an antibiotic that is believed to kill bacteria in the mouth, and it can be found in some anti-plaque toothpaste. Look for toothpaste that bears the seal of the Canadian Dental Association. That seal is an endorsement of the CDA – and it means that many dentists agree that that particular toothpaste does what toothpaste is designed to do. We can also recommend toothpaste to meet your specific oral health concerns at your next visit to our Markham, ON office. 2. Clean the aligner trays regularly. Invisalign aligners are exposed to the same bacteria and plaque that your mouth is, so you need to clean them as regularly as you clean your teeth. However, avoid cleaning the aligners with harsh chemicals. We recommend using a cleaning kit or some other type of specific solution. When it comes to cleaning Invisalign aligners, carefully follow the instructions given by Dr. Rajasekaran. For more tips and tricks for a successful Invisalign experience, contact our Markham, ON office! Most kids love candy; actually, most people in general love candy. So when it comes time for you to get braces there can often be a natural conflict between candy consumption and maintaining the integrity of your braces. For that reason, Dr. Rajasekaran and our team know that it’s good to know which types of candy are not good for your braces. To better illustrate, here are some candies that you will want to avoid. Caramel is a sweet and often exceedingly sticky and chewy type of candy that just does not mix well with braces. Caramel can cause a mess in regular teeth, but teeth with braces are a whole other story. The sticky candy can very easily get lodged and stuck between the teeth, gums, and braces, making for a difficult task of cleaning your mouth. And if your teeth don’t get cleaned properly, cavities can easily form. If you get cavities while you have braces, that could mean additional appointments at our Markham, ON office and an extended treatment time. Another sticky and chewy candy to avoid with braces is salt water taffy. For many of the same reasons as caramel, it is best to avoid taffy until you get your braces removed. It may be a long wait, but when it comes to the health of your teeth, and the purpose of your braces, it really is best to avoid taffy. Popcorn of any kind is best to avoid when you have braces. The kernels can easily do damage to the braces as you chomp on them, and they can get stuck between your teeth and the braces causing discomfort and further complications. In this sense it does not matter which flavor of candy popcorn you eat, all popcorn is bad news until you get your braces off. 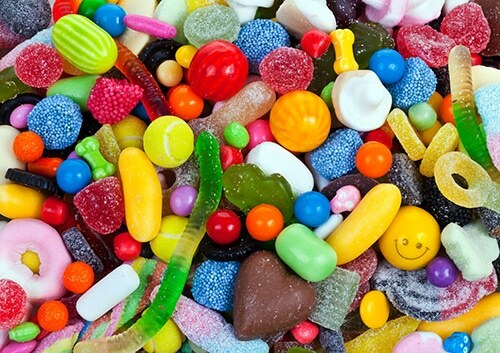 Generally speaking, any candy that is chewy, crunchy, or sticky is not a good idea to eat with braces in your mouth. These types of candy will make life wearing braces much more difficult than if you were to just wait until your braces come off. With a little patience you will be back to eating all your favorite candy again, and with straightened teeth at that. 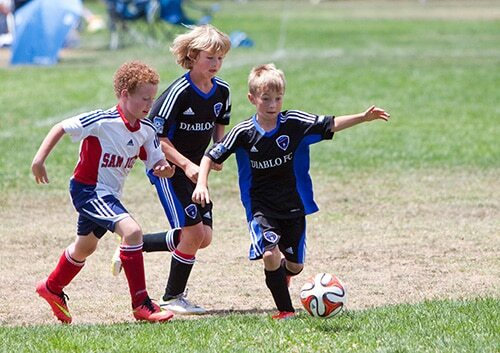 If your child is in a sport that poses a high threat to teeth, it is essential for your child to wear a mouthguard. Mouthguards fit your child’s mouth and consist of soft plastic. Dr. Rajasekaran can custom fit a mouthguard if generic ones are uncomfortable. While children may resist wearing a mouthguard initially, your persistence in insisting that they wear it should be enough to convince them. A helmet or face mask provides additional protection. While prevention is best, rapid treatment can improve the situation if your child does happen to lose a tooth during sports. Rapid implantation can work in about ten percent of cases. To learn about ways to save a lost tooth, contact our Markham, ON office. At our office, Dr. Rajasekaran and our team do all that we can to make sure that your experience with us is the best it can possibly be. However, there’s an important role you play in this as well: leaving us reviews and feedback. Whether there is something you’d like us to improve upon, or you’d just like to express your thanks for a job well done, your feedback is essential to our practice’s success. We look forward to hearing from you, and are excited to hear what you thought of your most recent visit at our Markham, ON office.